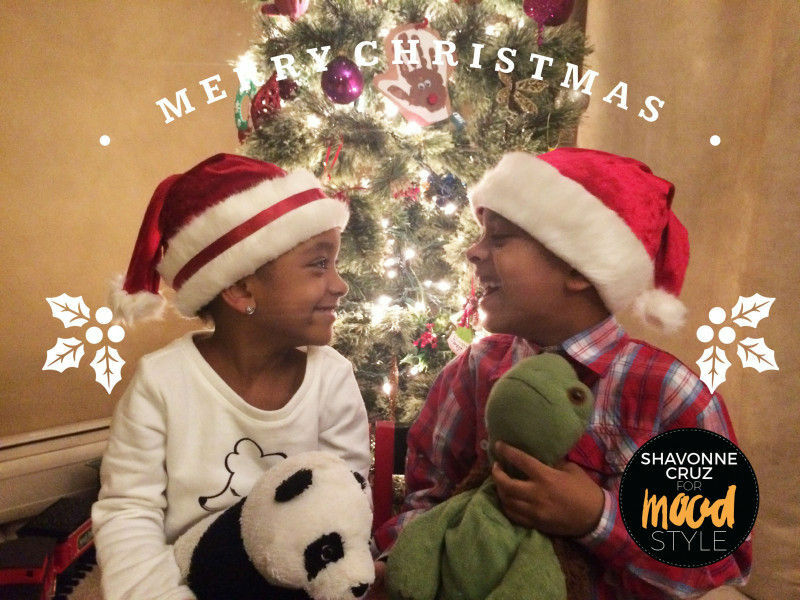 Tis the season for fun holiday crafts and DIY projects! My kids always get super excited when I make things for them. It makes them feel special, and it just melts my heart to see them smile! Trust me, I know how easy it is to run out and grab the inexpensive hats that fall apart, or the expensive character hats every year. 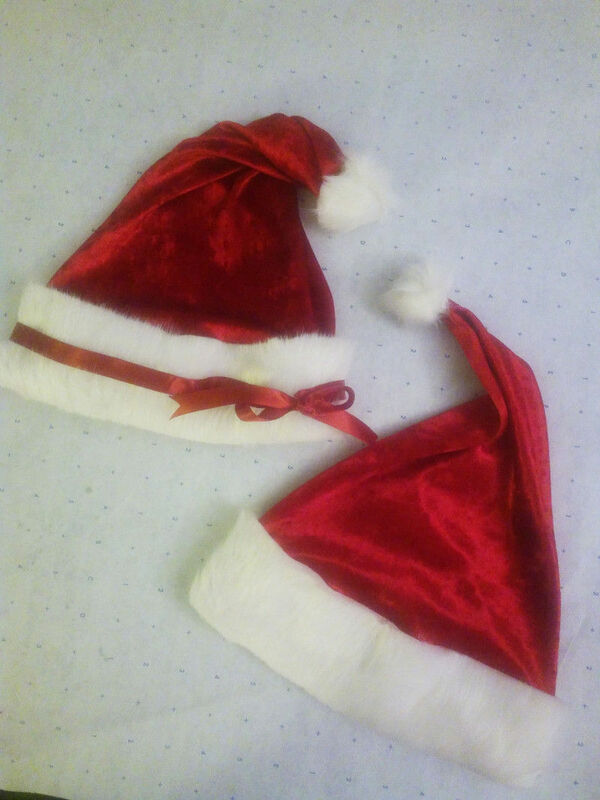 Well here’s a quick and easy “No Sew” tutorial on how to make santa hats that look stunning! The first thing we need to do is measure the circumference of the wearers head. 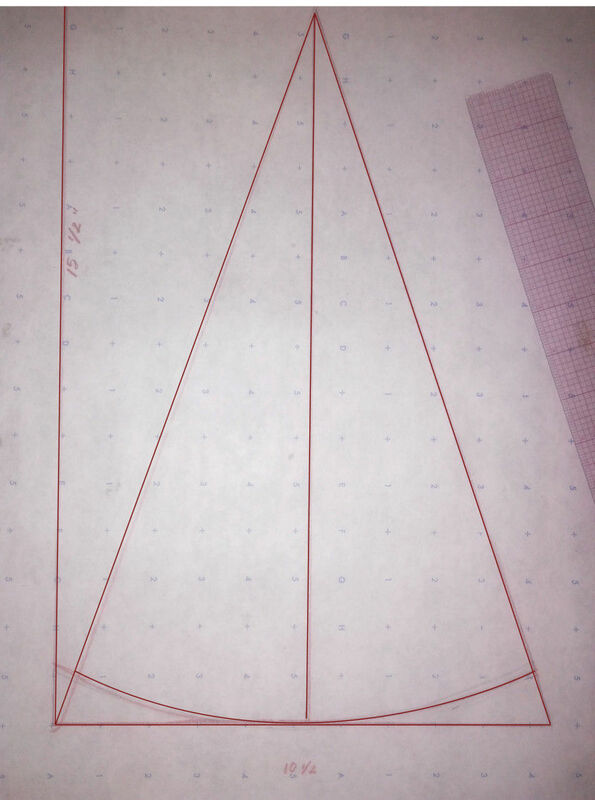 Once you get that measurement, you can start to draft your pattern. Take your ruler and draw the base of your hat with the circumference measurement. Next divide that measurement in two. Now you need to determine your hat height measurement. Here’s what I did: Take your measuring tape and starting at the top of the ear, drape it over the head and let hang down to the other side. Note the desired length. Use this measurement to draw a line straight down the center. 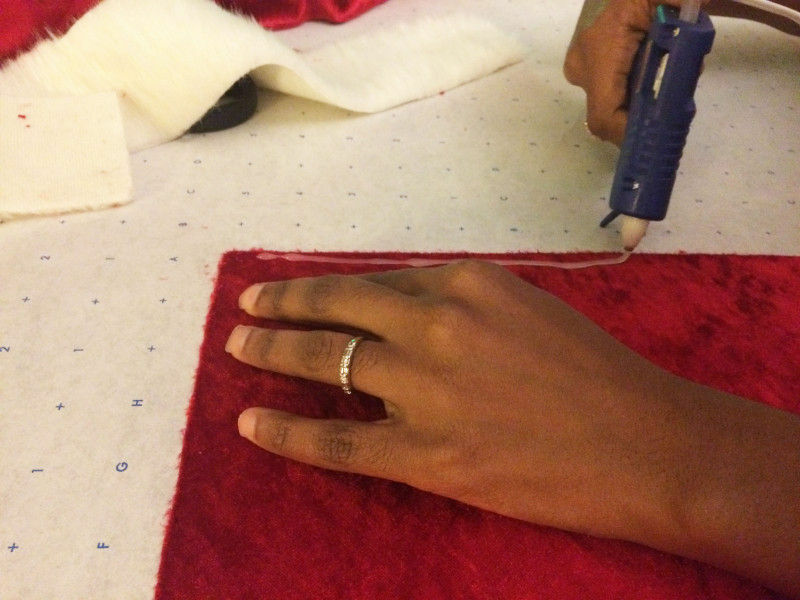 Continue by drawing a line from top to bottom of each outer edge creating a “Triangle” shape. Tie a string to a pencil the length of your hat measurement and swing outward to each side creating a slight curve (or trace freehand like I did). *Tip: Start warming up your glue gun and make sure to keep it out of kids’ reach, it gets really hot! 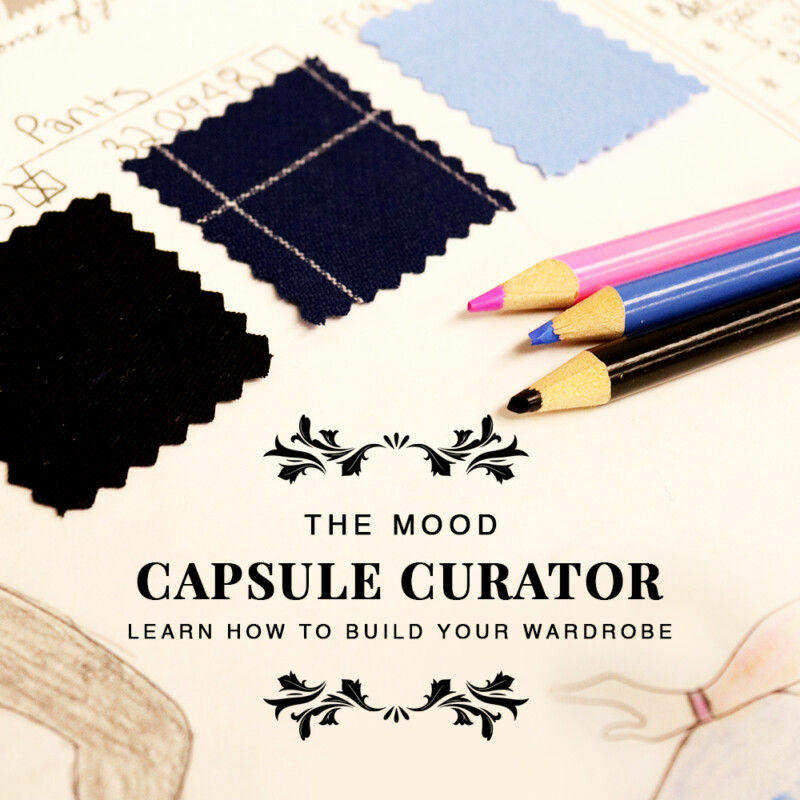 You can now cut out your pattern. With right sides together, place fabric on the fold. We are only going to have one seam along the side. 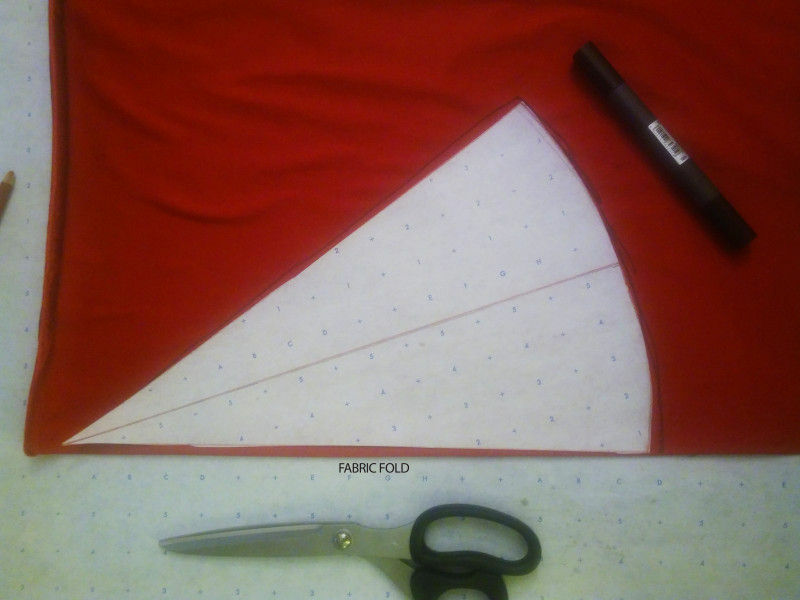 Place your pattern along the fold, leaving some room for desired seam allowance and cut. Now grab your glue gun. Start running a bead of glue at least 2″ at a time down the side. Work quickly pressing firmly to close the seam. The glue dries fast. Once the glue has dried, turn the hat right side out. 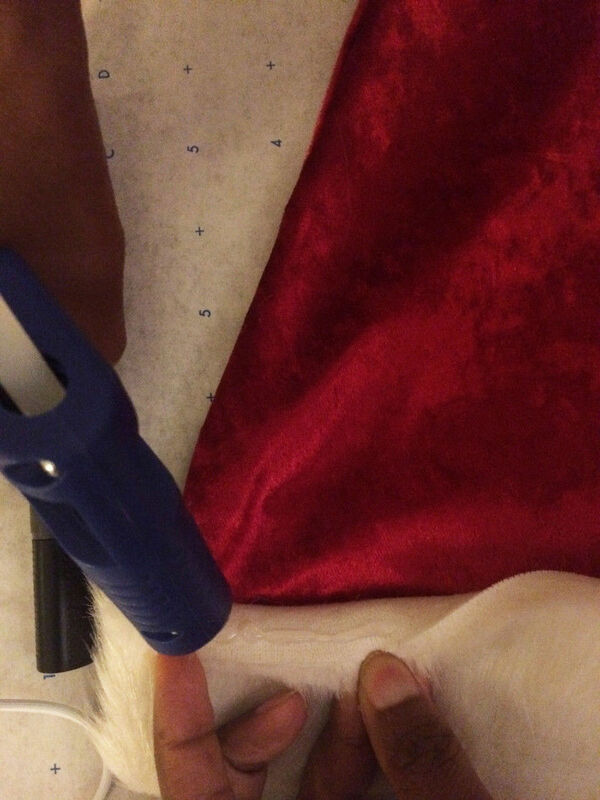 You will use the same circumference measurement to cut a strip of faux fur trim. Determine your trim height (I used 2 3/4″ as my trim height measurement) and cut. Starting at the bottom edge, align the trim with the seam of the hat and glue into place. Run the bead of glue 1/8″ in from the edge of the trim. Once the bottom edge is dry, glue down the top edge the same way. Now onto the pom-pom at the top of the hat. Truthfully I was searching everywhere for the crafting pom-poms and I couldn’t find the size or quality I needed. With that being said, I decided to create one! I used a large candle to trace a circle shape. It measured at about 3″ in diameter. Once I determined the center of the pom-pom, I used a pea-sized drop of glue to attach it to the top of my hat. Next, I slowly dabbed small amounts of glue around the edges of the pom-pom. I pinched and glued all it the way around the top of the hat. Thank you for this pattern. It was easy planning . Simple but brilliant work.. I will try to make this.